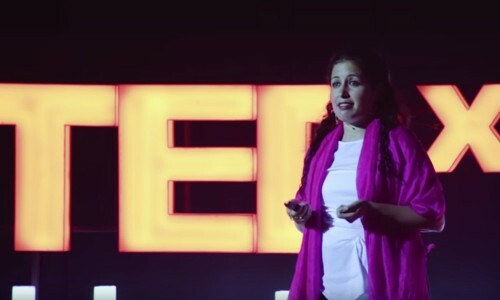 TEDx talk given at TEDxHyderabad in India. Finding inner peace in order to create world peace. 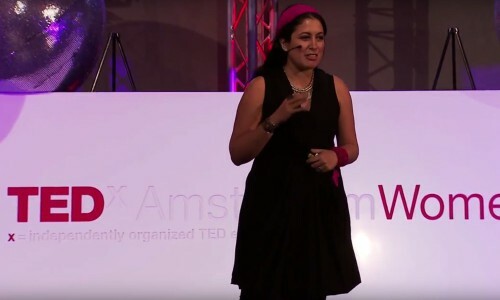 TEDx talk given at TEDxAmsterdamWomen in Holland. 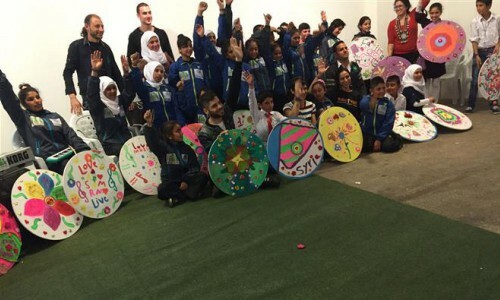 Offering love as a solution for the Middle East. The concert was a culmination of a week long of events curated and organized by Zena el Khalil. 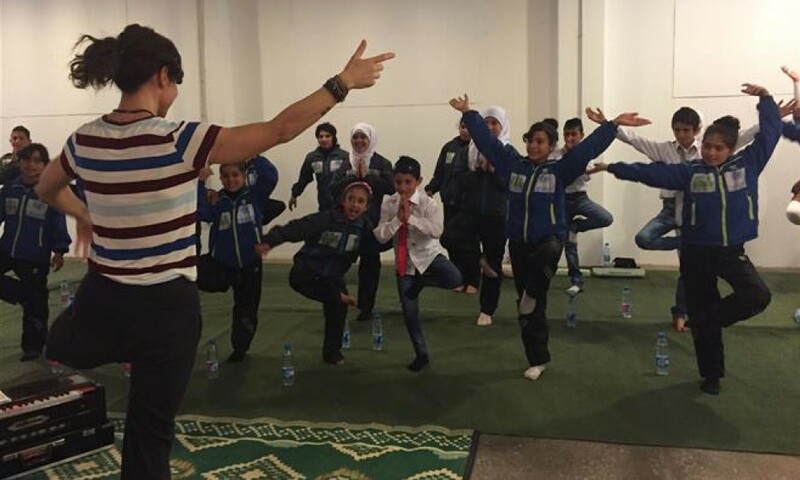 In partnership with the UNHCR, el Khalil organized yoga and music workshops for Syrian, Kurdish, Armenian, Palestinian and Iraqi refugee children. 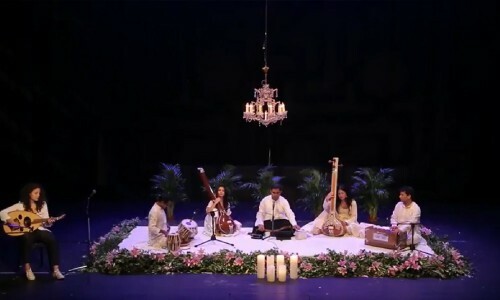 Performers: Sudhanshu Sharma (vocals), Abhishek Sharma (harmonium), Arvind Kumar Pandey (tabla) , Youmna Saba (oud), Eva Zayat (tanpura) and Zena el Khalil (tanpura). 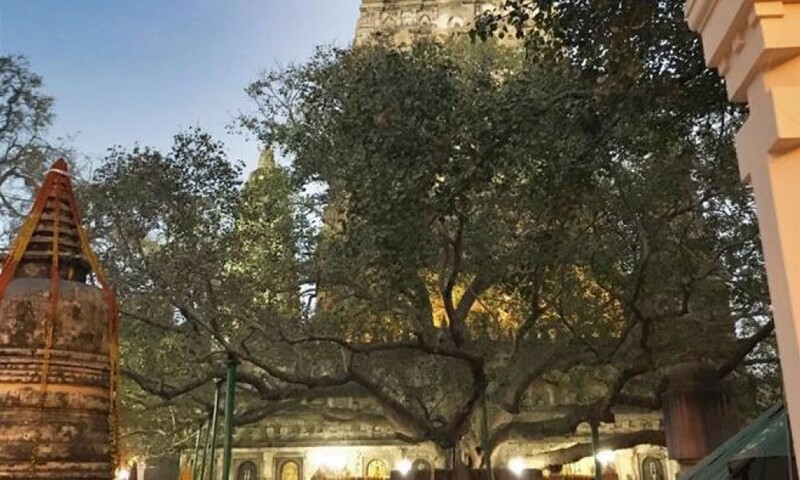 In Sudhanshu Sharma’s words: "The concept of Tarana, as introduced by Ustad Amir Khan Saheb was that of a meaningful song which springs up from the roots of Sufism - where one tries to unite with the Supreme through the path of Love and Devotion. 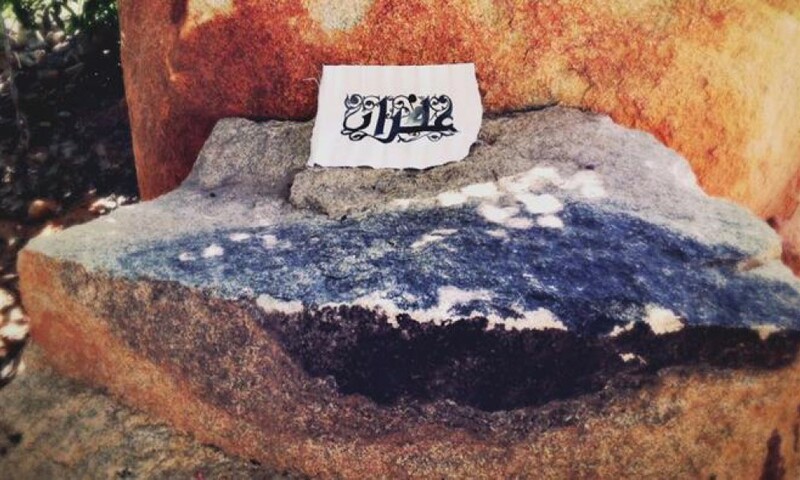 Ustad ji firmly believed that it was an invention of Hazrat Amir Khusro in memory of his Pir Hazrat Nizamudin Auliya. This composition in Raag Darbari Kanada, has been composed in Persian, which gives a call to the Yaar(friend) to come fast and be embodied in one's self - Yare Mann Biya Biya - O' friend come fast !!" 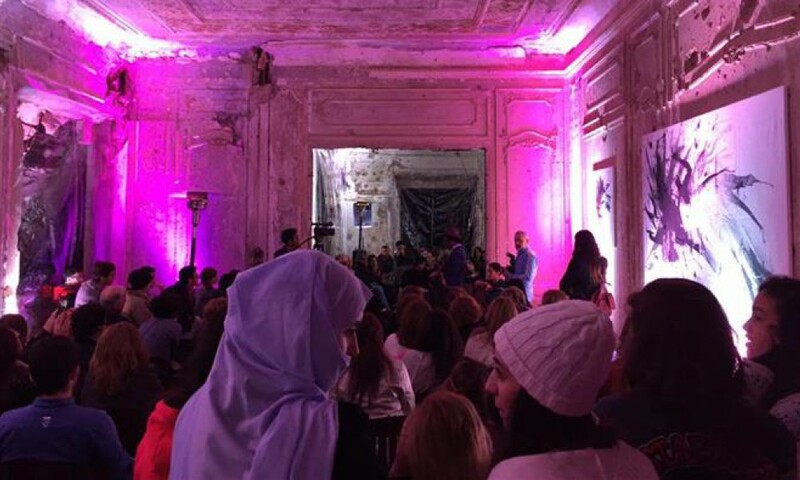 On June 20, 2017 World Refugee Day, with the support of the UNHCR, Zena el Khalil curated a full day program of yoga and sound healing workshops, and public concert for children refugees from Syria, Kurdish Syria, Iraq, Armenia and Palestine. As part of her ongoing work with refugees, Danielle Abisaab (Union Square Yoga) provided yogāsana lessons with the aid of Sahar K and Eva Zayat. From India, we were joined by Sudhanshu Sharma (vocals), Abhishek Sharma (harmonium) and Arvind Pandey (tabla). Sudhanshu Sharma is a well established, classically trained in northern Hindustani music as well as a Nāda yoga instructor. The music and yoga workshops were followed by a group concert, a jam between refugee children and our visiting musicians from India. According to the UN, this is the first time that the threshold of 60 million refugees and internally displaced has been crossed. 1 in every 113 people globally is now either an asylum-seeker, internally displaced or a refugee. Syria, Afghanistan and Somalia together account for more than half the refugees in the world. Lebanon hosts more refugees compared to its own population than any other country (183 refugees per 1,000 inhabitants). 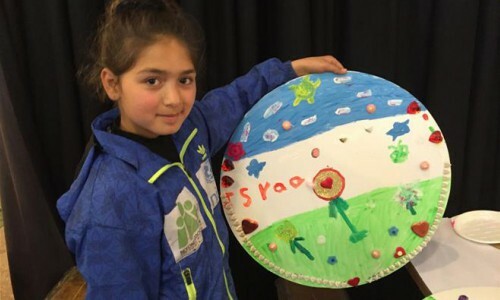 Children constituted 51% of the world’s refugees in 2015. 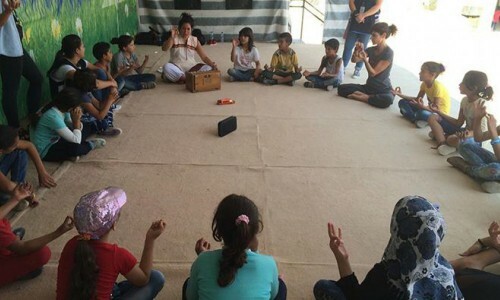 A week long program of Nāda yoga workshops and concerts around International Refugee Day (June 20) and World Yoga Day (June 21) curated by Zena el Khalil. 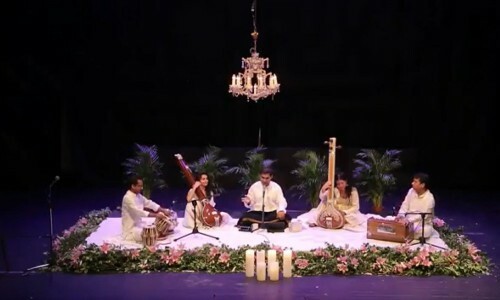 Nāda Yoga and Hindustani classical music concerts given by Sudhanshu Sharma (vocals). Joined by Abhishek Sharma (harmonium) and Arvind Kumar Pandey (tabla). 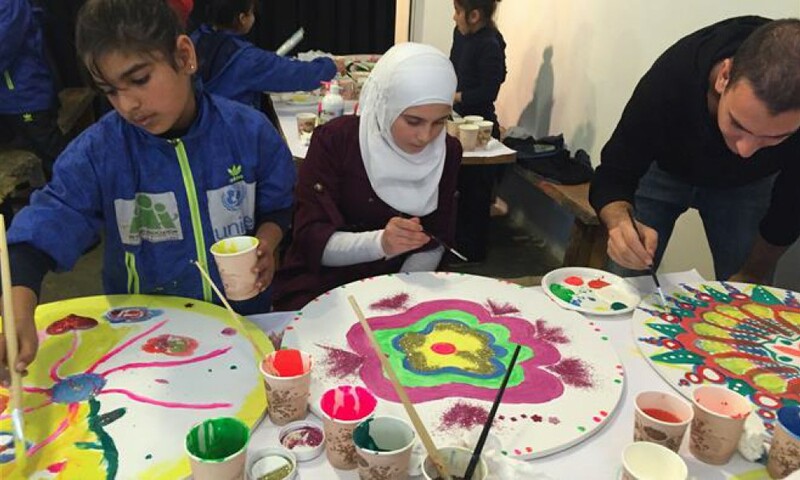 Workshops and concerts were give to both refugees as well as local yoga students in Lebanon. 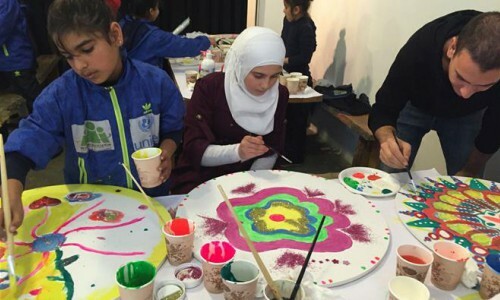 World Refugee Day, June 20: In collaboration with the UNHCR; yoga and music workshops for refugees (Syrian, Iraqi, Palestinian, Iraqi, Kurdish and Armenian) as well as Lebanese host communities. Yogāsana classes were led by Danielle Abisaab of Union Square Yoga and Nāda Yoga (yoga of sacred sound and subtle vibrations) was led by Suddhanshu Sharma. 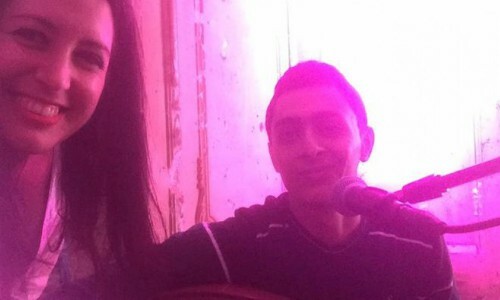 Workshops were followed by a concert; performance by Suddhanshu Sharma, Abhishek Sharma and Arvid Pandey. 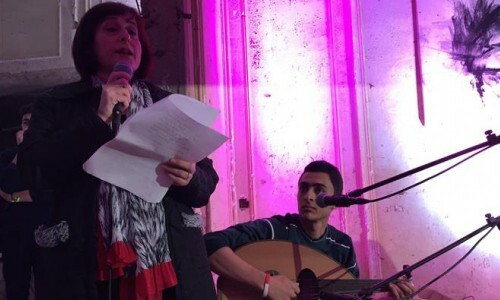 Followed by performances by the refugees; including Hamad Karim (oud), Ahmad Al Asswad (nay), Ibrahim Mechi (vocals), Khabat Cheikho (daff), Jandikar Dammar (vocals), Mirna Jijman (vocals) and Hovsep Zitoulian (violin). 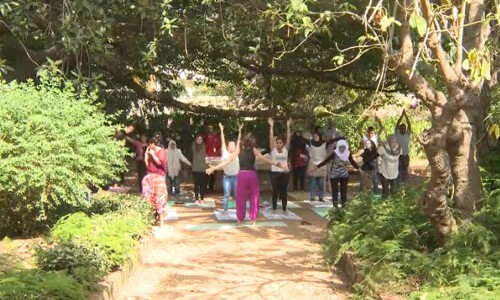 World Yoga Day: music performance at Yoga Festival in Byblos/Jbeil, Lebanon and World Yoga Day concert hosted by the Zouk Municipality and the Indian Embassy. 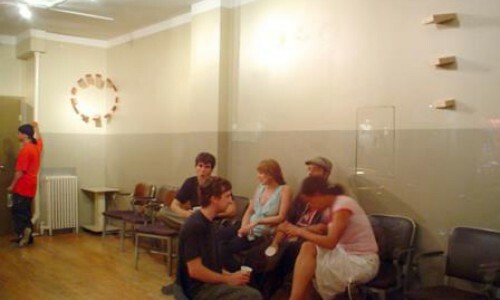 Workshops and Kīrtan at local yoga studios. One on one lessons in Nāda Yoga. 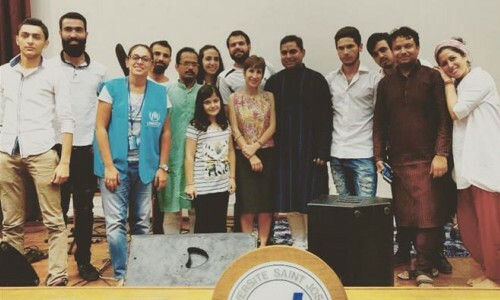 Concert for Peace, June 26: Al Madina Theater. 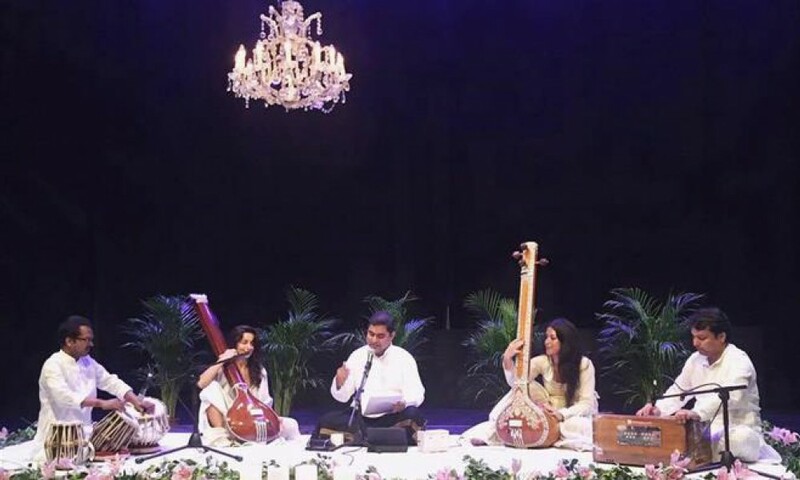 Suddhanshu, Abhishek and Arvid were joined by Youmna Saba and Hamad Karim on the oud and Eva Zayat and Zena el Khalil on tanpuras. 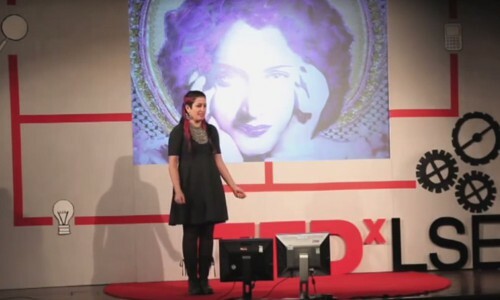 A “Shakti flow” performance was given by Mirabai of Shivalila Yoga Studio in Beirut. 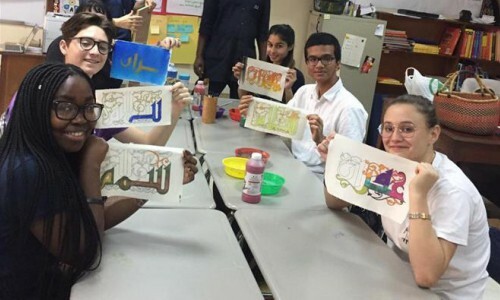 The Mantra Matrix aims to elevate human consciousness through a focused intention of painting Arabic mantras that hold peaceful and positively charged cosmic vibrations! 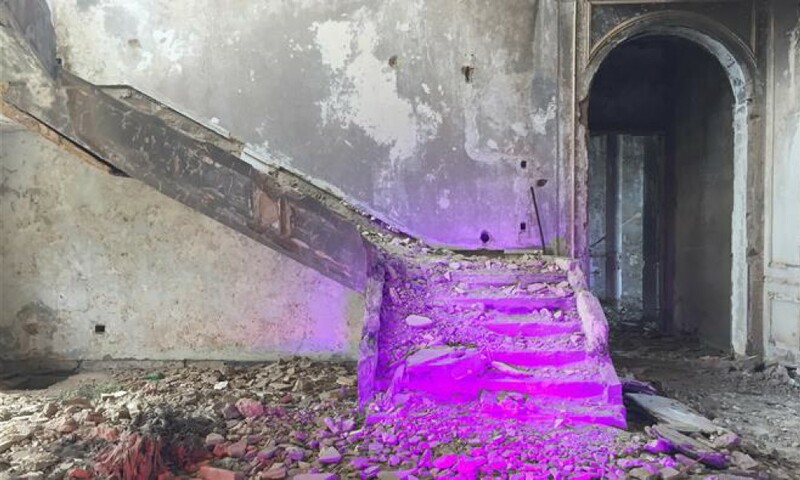 This project was born in Beirut, Lebanon by artist Zena el Khalil. 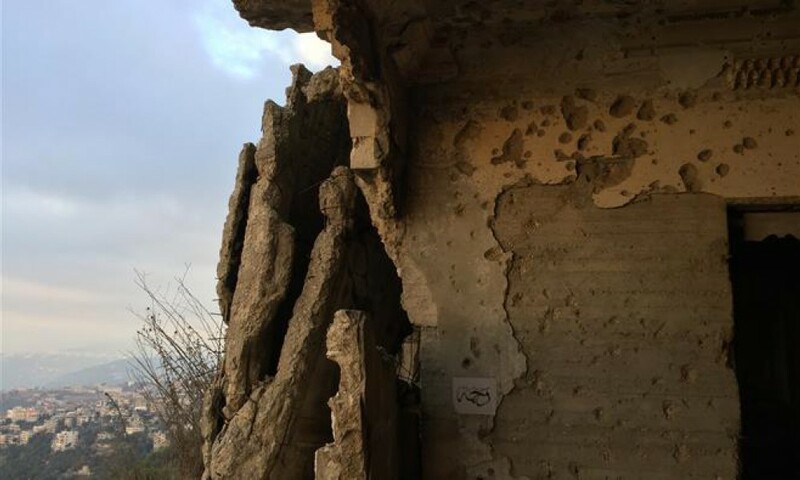 Merging art and healing modalities, she conducts healing ceremonies across Lebanon in spaces that have historically endured trauma and violence, with the intention of transforming these places and objects in them into generators of peace. Part of these ceremonies include the chanting of specific Arabic words as mantras, repeated over and over again. These words are love (mawada or mahaba), compassion (rahma), peace (salam) and forgiveness (ghufran). 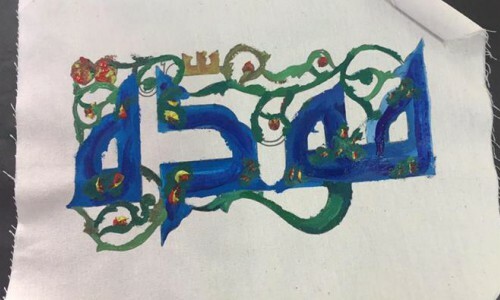 At the end of the process, she leaves a painted mantra onsite that serves to keep that location connected to her daily prayers for peace. 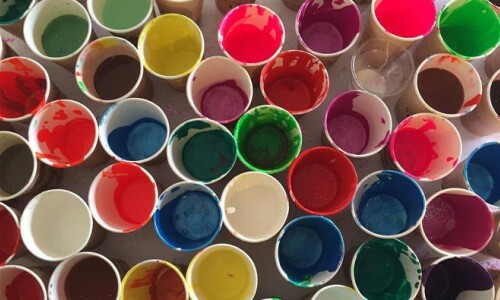 The goal is to use these painted mantras to build a “positive peaceful matrix" around the world. 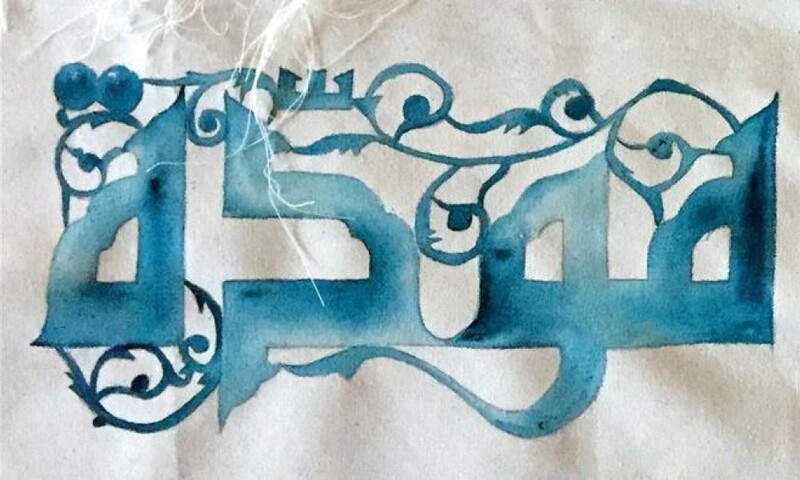 Inspired by Nāda yoga (union through sound), dhikr (repetition of devotional phrases) and Tantric practices, Zena use words in a creative play of consciousness into form. The word is the audible manifestation of breath. And all the while, from silence, to breath to sound, there is vibration, or Spanda in Sanskrit- the subtle creative pulse of the Universe as it manifests into living form. And it is words that have powerful healing vibrations that Zena chooses to work with. If the entire cosmos and all that exists, from the smallest quark to the largest quasar consists of sound vibrations (nāda), then we could use sound energy, even our very thoughts, or spandan (thought vibration) as building blocks to create a global matrix of peace and reconciliation. 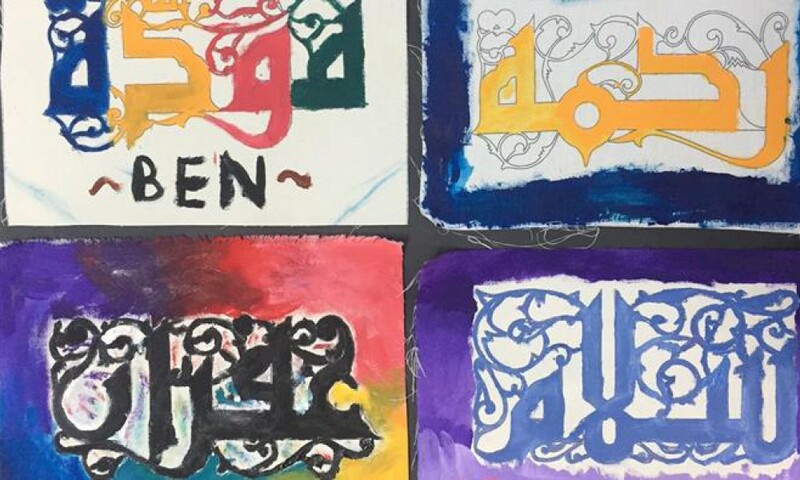 Paint a mantra and give/send to Zena to hang in Lebanon. Take the other home with you and hang it where you think it is needed. 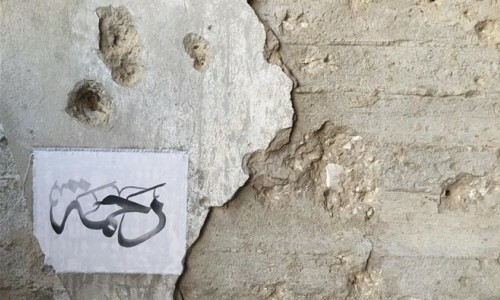 Take a photo of the mantra in your location/country and upload to the FB page (@themantramatrix), stating where you placed your mantra and your message to the world. 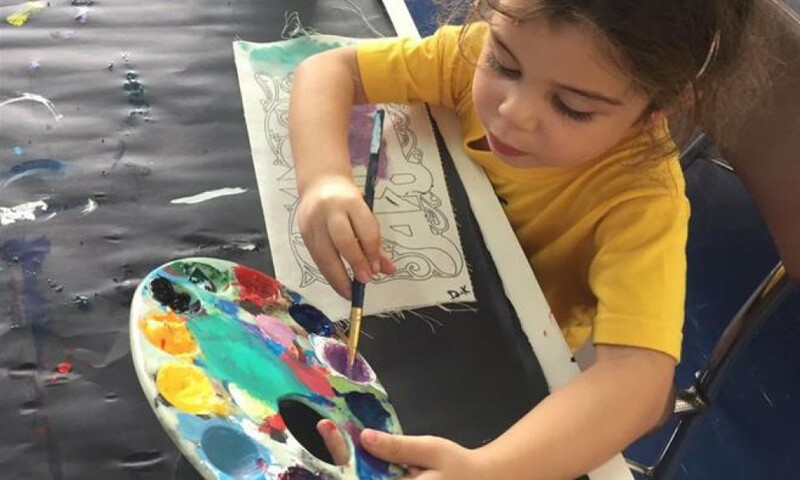 Get as creative as you want in coloring and hanging the mantra. Perhaps on a street wall with some poster glue or rolled up and buried under a special tree... the choice is yours! The mantras are in Arabic for a good reason. Here the Arabic language transcends from a stereotype equated with violence and hostility into an international instrument of peace. And by reflecting on the mantras in Arabic, you help direct loving energy to a part of the world that is in great need of healing. Through your contribution and participation, we can collectively make this world a better place through the power of art, phonemes and collective storytelling! Mantra placement location : Mahabodhi Temple, Bodh Gaya, India. Site where the Buddha achieved spiritual enlightenment. Placed by S.Anaya. Gufran mantra (forgiveness) painted by A.George. Left in south India. 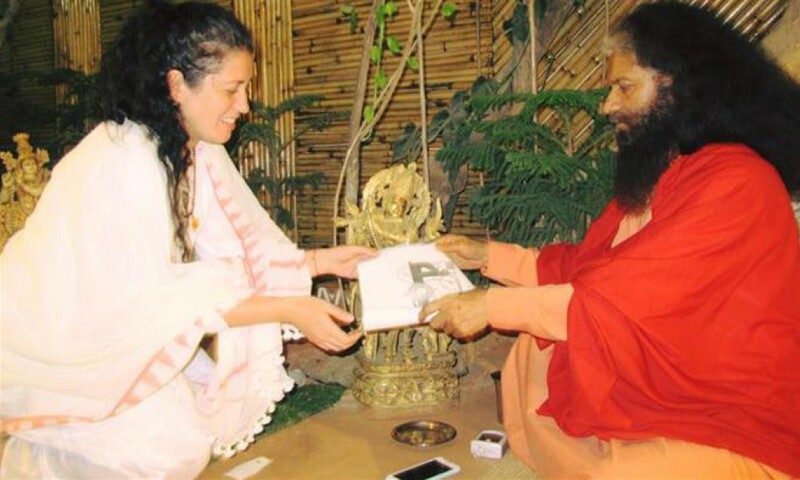 Zena presenting Rahma mantra (compassion) to the Venerable Pujya Swami Chidanand Saraswatiji in Rishikesh, India. April 2016. Gufran mantra (forgiveness) painted by Zena el Khalil. 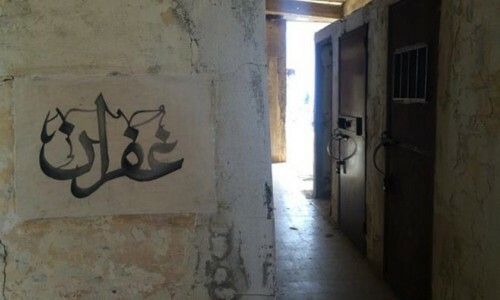 Left in Khiam Prison. 2015. A one night event of literature, art and music curated by PEN Lebanon and Zena el Khalil. 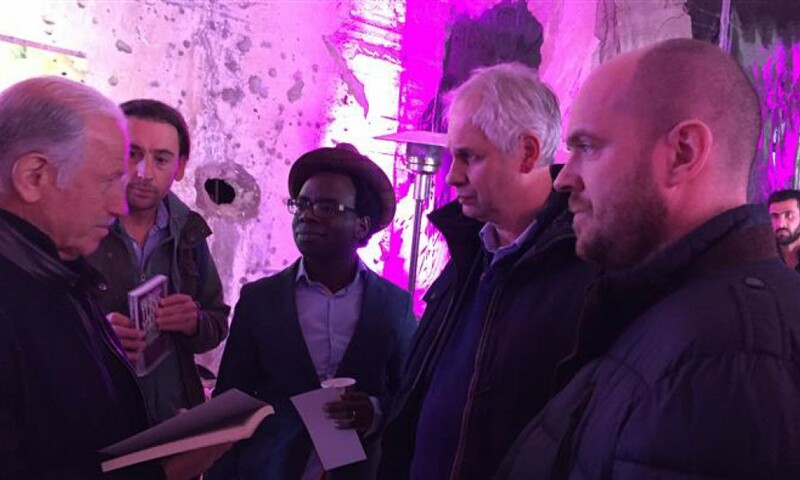 International writers Martijn Knol (The Netherlands), Usha Kuniga Ramaswamy (India), Vamba Sherif (Liberia, Holland), and Witold Szablowski (Poland) visited Aley, Lebanon to share their work and read along side local writers Iman Humaydan and Zena el Khalil. They were accompanied by Hamad Karim on the oud. 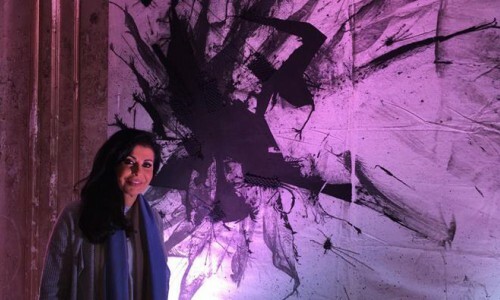 Selection of artworks by Rima Saab and Zena el Khalil were on display. Compassion Mantra left on site after healing ceremony prior to Reading for Peace event. 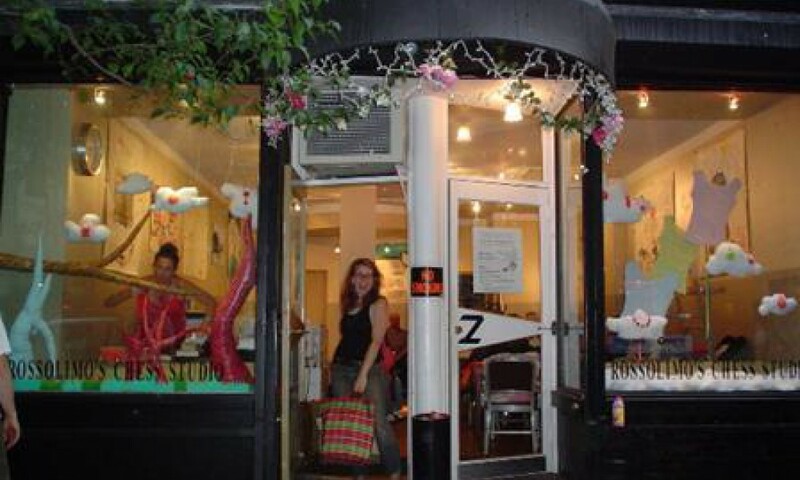 xanadu* was born on the number 2 train, on the way back from the Botanical Gardens in Brooklyn, New York City, in 2001. Zena el Khalil and Imad Khachan were discussing the art scene in New York and other related issues including the obstacles new comers to the art world, like Zena herself, were facing in exhibiting their work. The duo also felt that, within the gallery spaces in New York City, there was an under representation of budding international artists, especially from Arab and Eastern countries. Zena and Imad were in NYC when the catastrophic events of 9-11 happened. After the towers fell, they found themselves being marginalized simply due to their ethnic (Lebanese) backgrounds. In 2003 they decided that xanadu*, as an idea/concept/space, was ready to face the big city. The hope was that xanadu* could become a platform for Arab and underrepresented artists to combat erroneous stereotypes that emerged from the wake of 9-11 and portray a positive side to all the negative allegations. 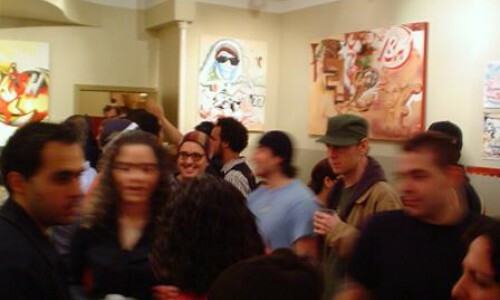 They officially opened their exhibit space in November 2003. 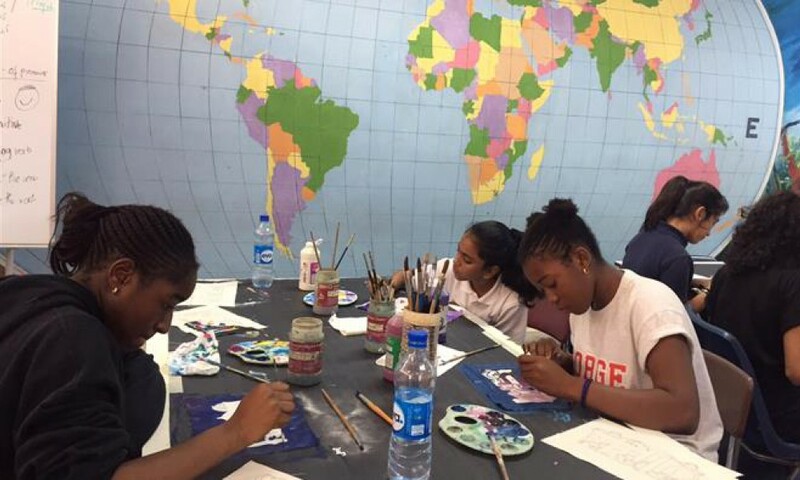 For three years, xanadu* held monthly events that included art exhibitions, poetry and music performances, publications, and chess lessons. Imad Khachan, owner of Chess Forum, the chess store located next door to xanadu*, believed chess and art to be a marriage made in heaven. 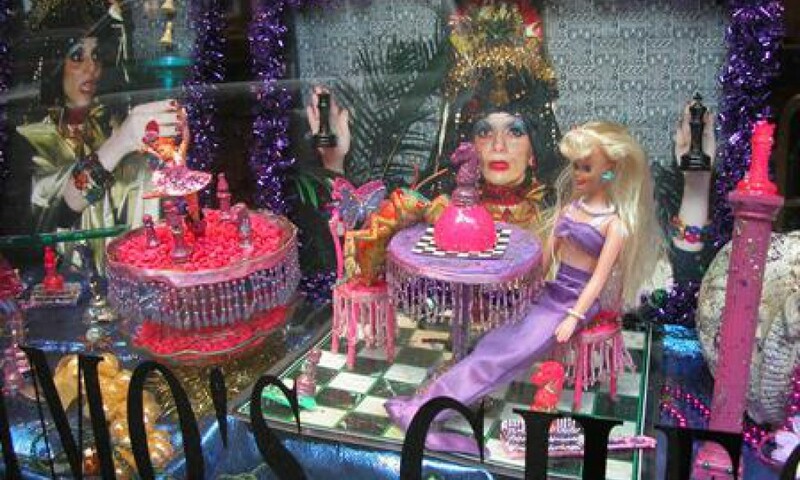 xanadu* became a point of convergence between locals from Greenwich Village, where the gallery and Chess Forum were situated, to Arabs who were either Arab Americans or like Zena, just passing though. 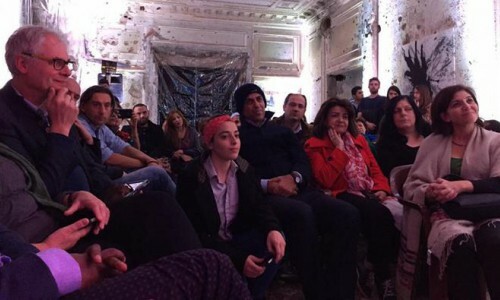 It was an eclectic mix of artists, writers, poets, performers and chess players building bridges with their community. People of all ages and ethnic backgrounds passed by to look at artwork, have a coffee, and even occasionally learn some chess by “undercover” world-class players. 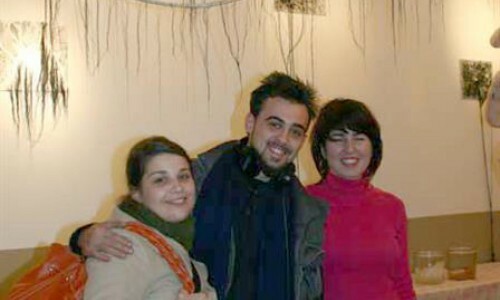 In 2004, xanadu* moved to Lebanon with Zena. But only as a concept/collective and not a physical space. 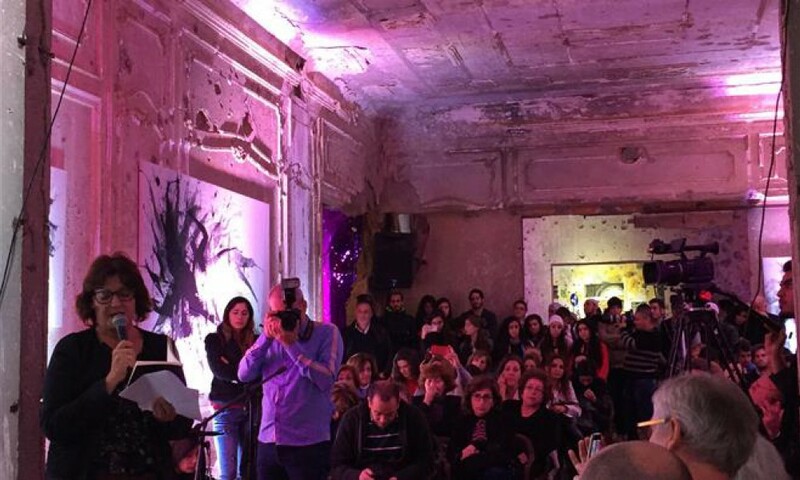 Zena focused on doing specific events and exhibitions in different locations and gallery spaces around Beirut. 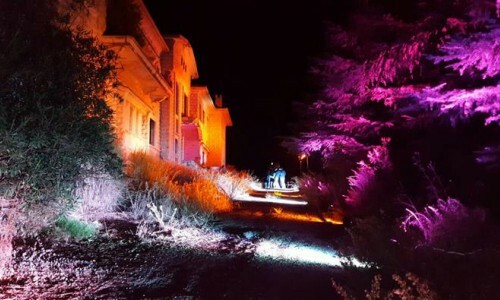 The Beirut events included everything from one night "happenings" (that took place at the Masrah Al Madina) to month long exhibitions. 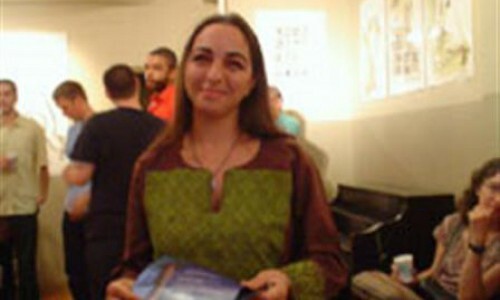 In 2006, Zena curated the "Shu Tabkha, Ya Mara? (What's Cooking, Woman?) 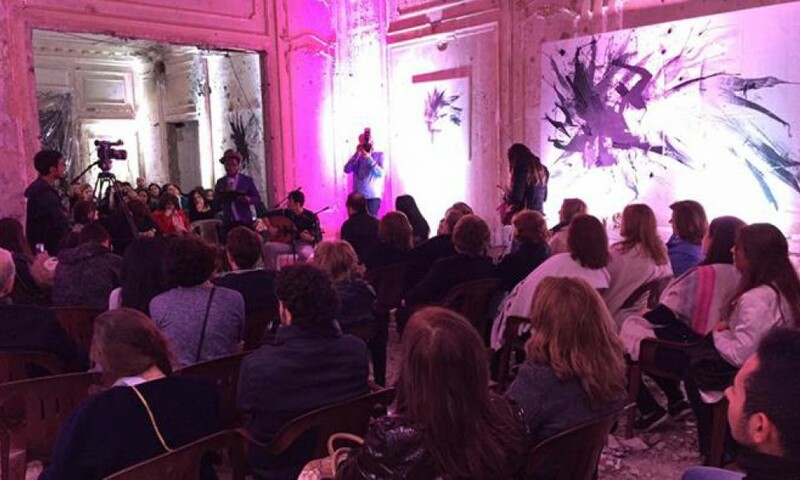 art exhibit in partnership with the International Museum of Women. 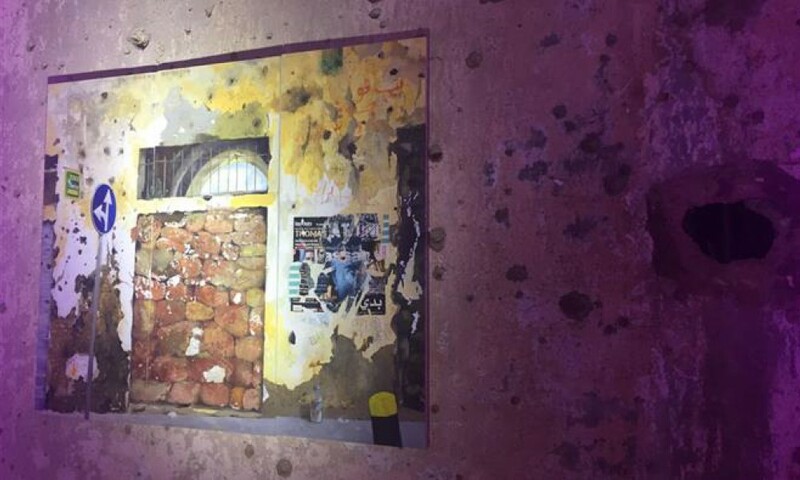 That same year, she co-curated, with Sandra Dagher of Espace SD, "Nafas Beirut", a testimony to artwork made during the Israeli invasion of Lebanon in 2006. In the meantime, xanadu* New York continued to have a presence on Thompson Street, but slowly moved from exhibiting art to production; by supporting Arab writers, artists and filmmakers in producing their work. 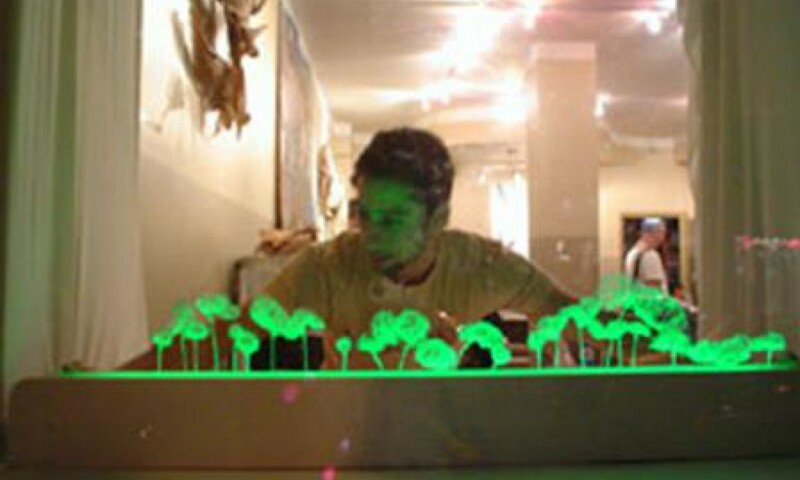 In 2008, Zena el Khalil with Ramzi Hibri organized “8.8.8.”- a first of its kind event in Beirut celebrating the collaboration of experimental music and visual projections. Local musicians played outdoors on a stage situated in the middle of a beautiful garden in an old abandoned Lebanese house. 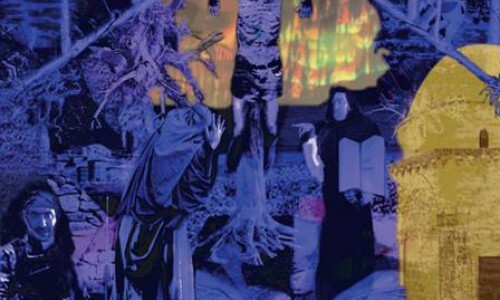 Artists drew and projected live visuals. Animations and videos were projected on several screens throughout the outdoor venue. VJs mixed images to sound. In 2009, El Khalil curated “Beirut Live”, a one night event in London at the Vibe Bar on Brick Lane. 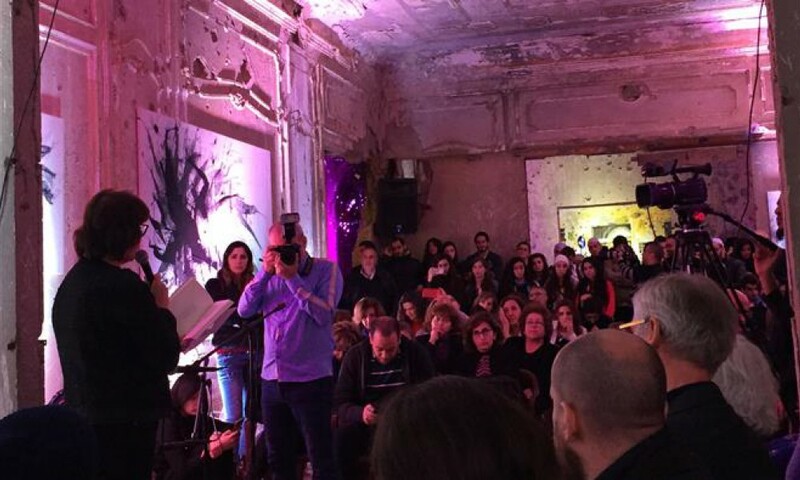 Beirut Live was a celebration to Beirut; an exhibition of cutting edge Lebanese art & culture, including performances by Nadine Khouri, Rayess Bek, readings by The Amazin' Sardine and photography by Ayla Hibri, Karen Kalou, Andrew Brandse and Marie-Joe Raidy to name a few. The asterisk in xanadu* translates to “a beautiful place”. 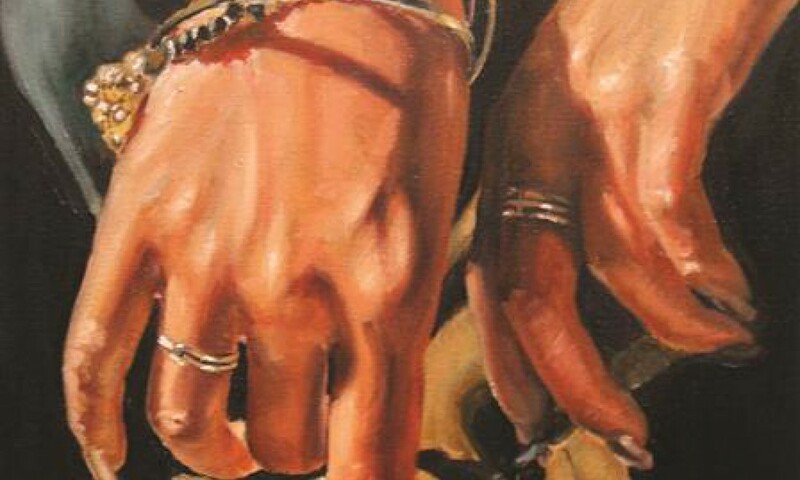 Yoko's Hands (detail) by Jo Mikals-Adachi. xanadu* opening exhibition. Oil on Canvas. December 2003. Lulu Lolo. Performance artist. Site specific installation for xanadu* window gallery. Gallery inauguration exhibition. December 2003. Rana Bishara on her opening night of her exhibition entitled "Creations." August 2004. 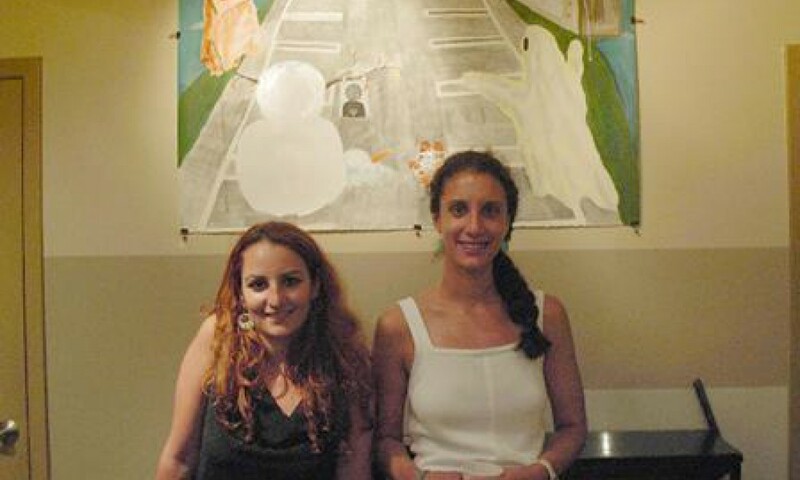 Maya Ghannoum and Jen Viola on her opening night. Exhibition of drawings entitled "Empty Theater (Re)". July 2004. 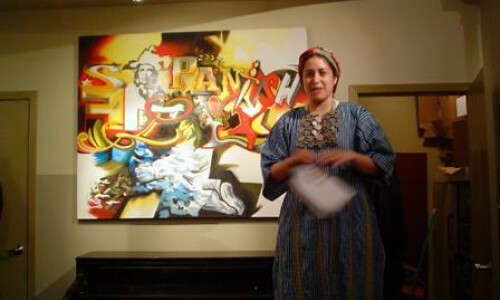 Zena el Khalil giving announcements during opening of Anibal Padrino's Post Contemporary Vandalism. April 2004. 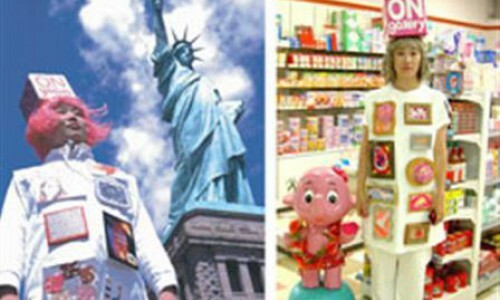 Tom Lendvai exhibition "Sketch Book" June 2004. Seated with Christopher Reiger, Robyn Winston, Boyce Cummings and Jen Viola. Lynn del Sol with Marya Kazoun on her opening night. Sculpture, installation and photography entitled "Tonight is a Full Moon; Trapeze Artists Crash and Break Their Necks." 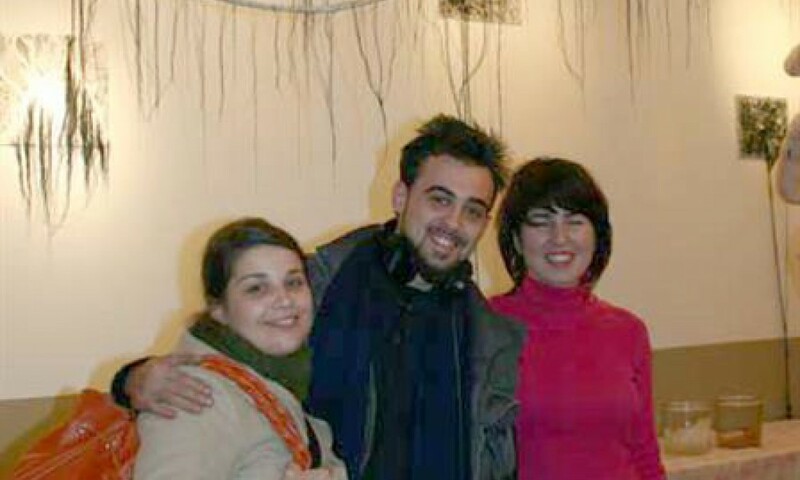 December 2005. Opening night for Anibal Padrino's Post Contemporary Vandalism. April 2004. Lena Merhej. 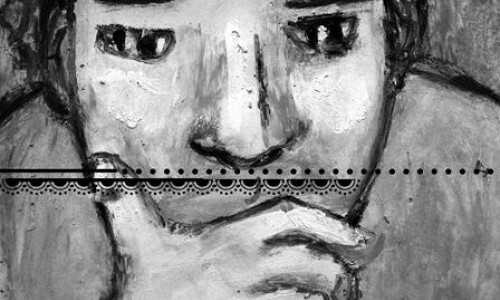 Animation and Painted Stills "Bits of Life : An Oneiric Search in the Buckles of Dialogue." April 2005. 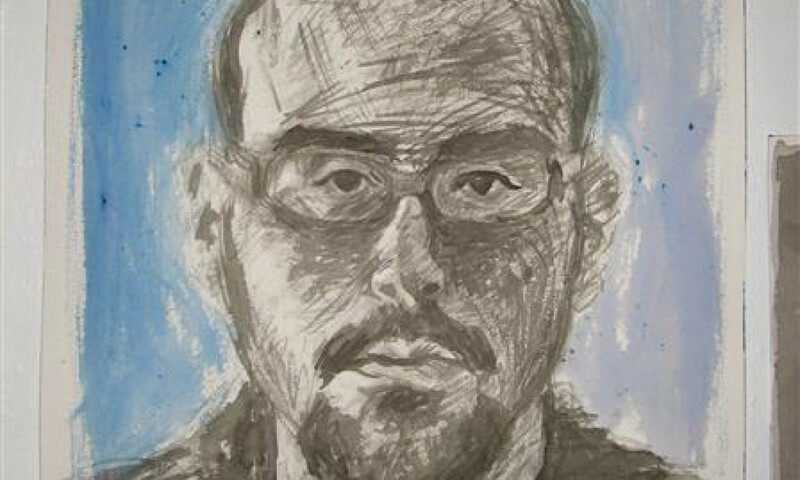 Arshak Martirosyan. 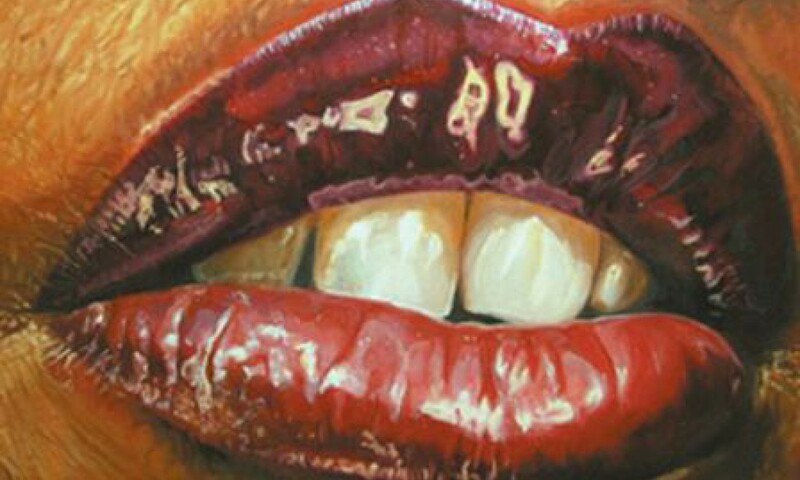 Oil Paint on Canvas. 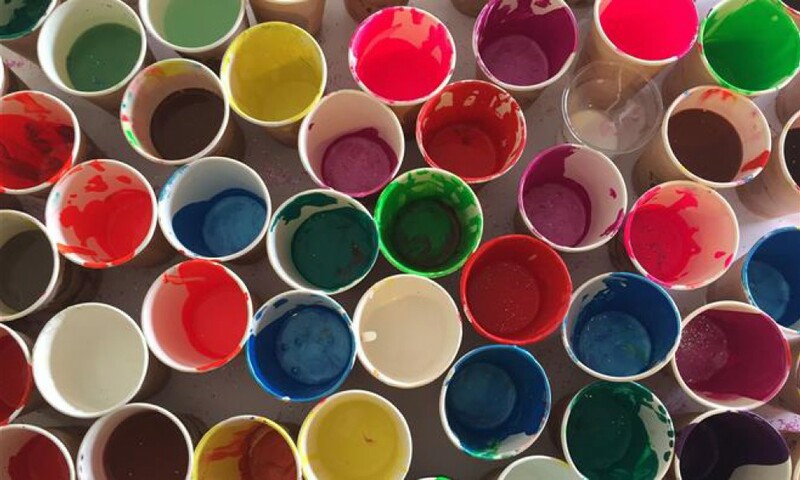 "Over the Borderline: Turning Paint into Optic Nirvana." June 2005. ON Megumi Akiyoshi. 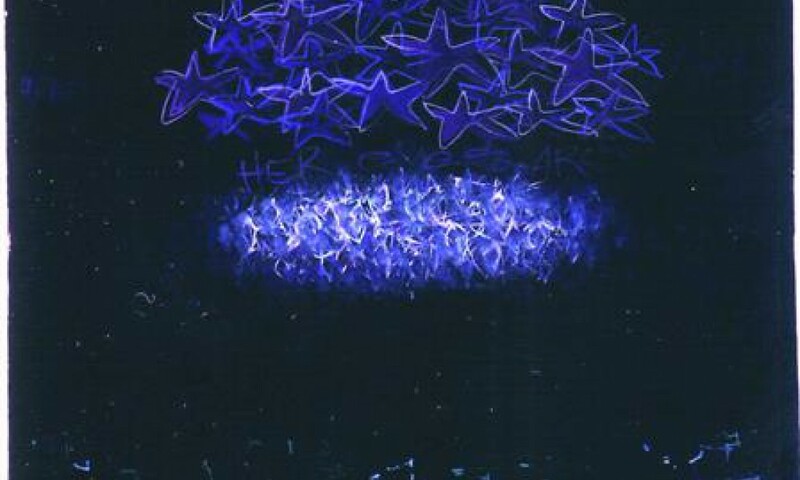 Interactive Painting. "Dress the Dress." February 2005.